Throughout the academic year, the C/C's will have the chance to hear from some of the Prep Staff about their careers and personal life. 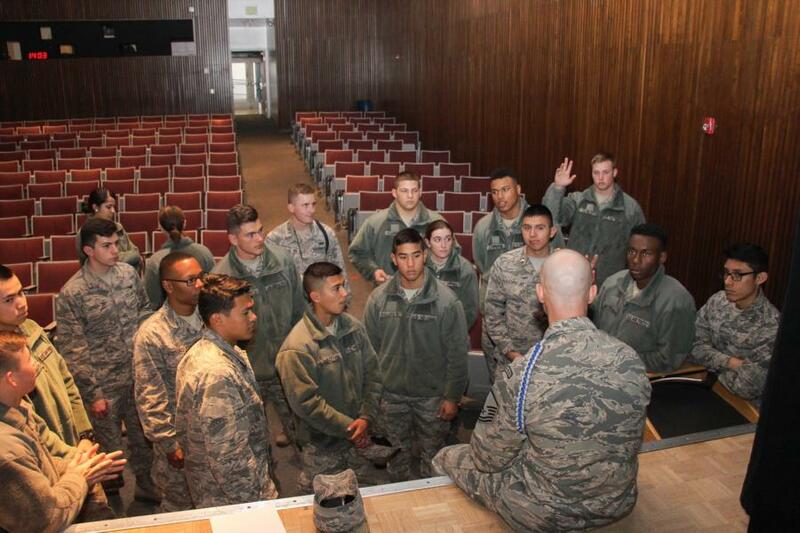 This helps to give them different perspectives whether it be someone who Enlisted, went ROTC or was an Academy grad - not only on the different career paths that the Prep Staff have had but also insight on what it takes to accomplish those things and what it was like for them. 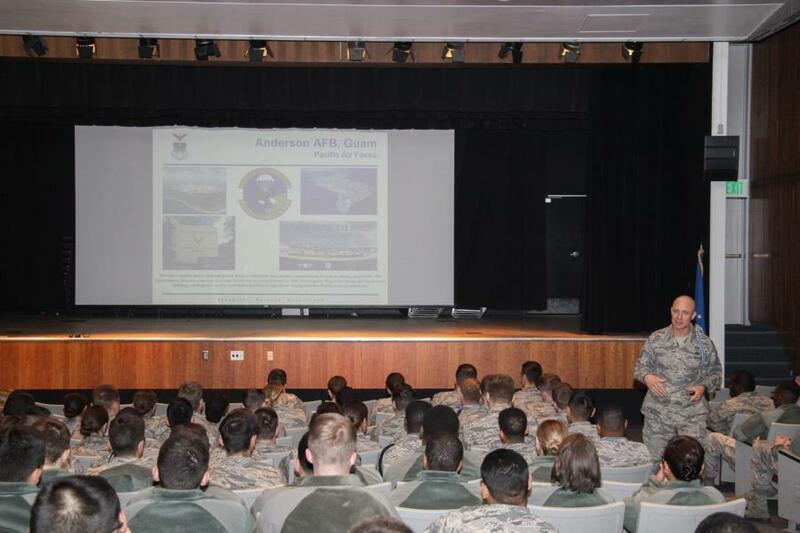 This week's Life In The Military Segment speaker was a Prep School Alpha Squadron AMT, MSgt Nick Roberts. 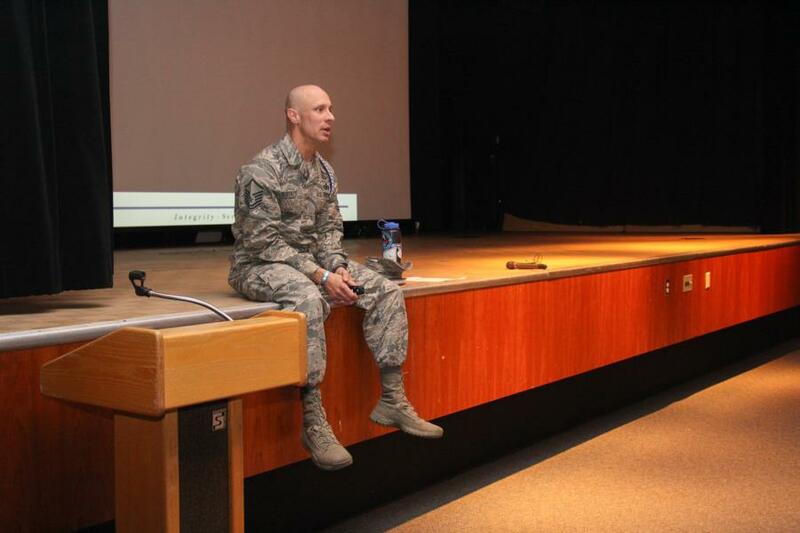 MSgt Roberts enlisted into the Air Force in 1994 and for most of his career he has served as a Security Forces Defender. 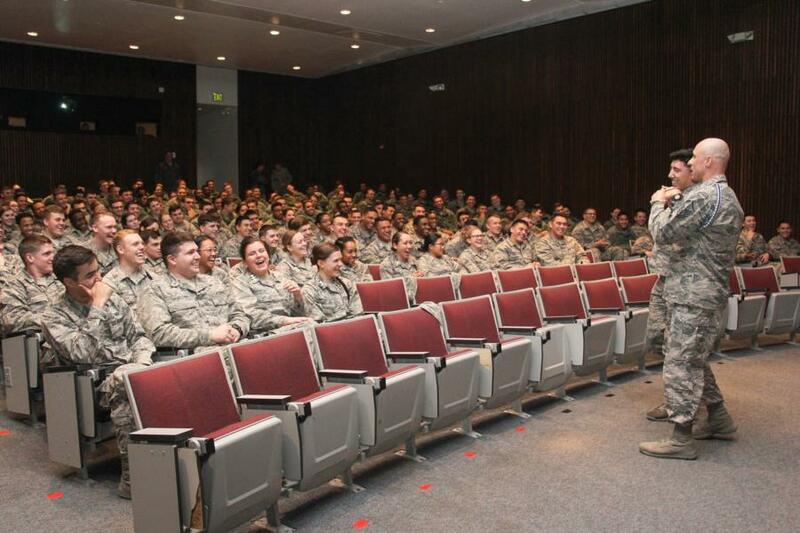 He grew up as a Navy Brat and enlisted into the Air Force at 19 years old. 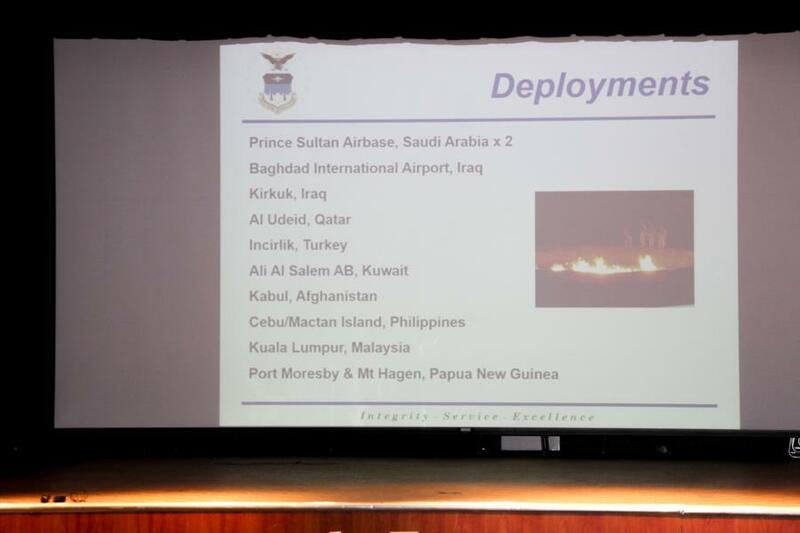 Sgt Roberts has been deployed to many places including; Prince Sultan Airbase, Saudi Arabia. Kirkuk, Irag. Al Udeid, Qatar and several others. 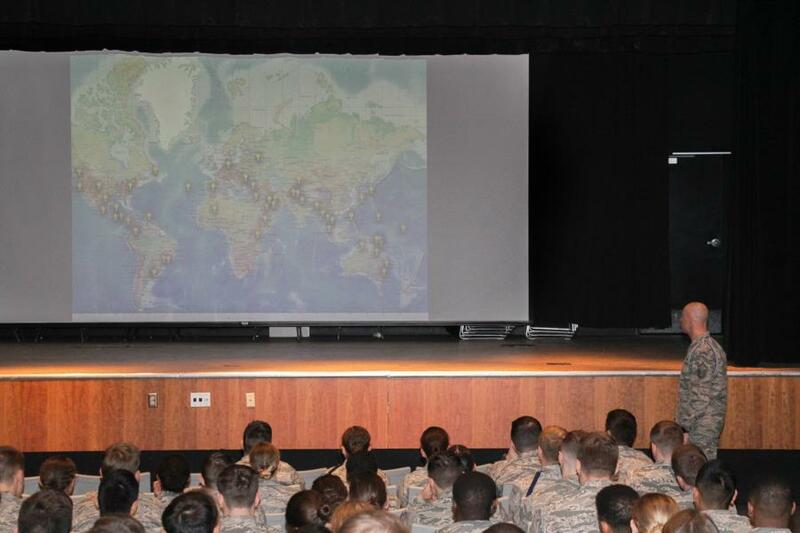 He shared a map with points around the globe to show everywhere he has been during his Military career. Impressive! After he talked about his career and where he was headed to next, he opened up the floor for questions. In answering one of them, he asked assistance from one of the C/C's to demonstrate. To find out what was demonstrated and why, you'll have to ask your C/C's! To view the rest of our glimpse into the Life In The Military Segment go to; Classes - Prep School - Prep Life. Or click the link below.